We are thrilled to announce that NYFC is bringing on Sophie Ackoff as its Membership Development Coordinator. Sophie has been working closely with NYFC as a volunteer and blog contributor, and we are excited to have her on staff. Sophie’s dedication to sustainable agriculture began at the age of eight when she put down her fast-food burger and decided she would no longer eat factory farmed meat. Though an active environmental and local food organizer since then, she discovered her love of farming in college at Wesleyan’s student-run farm, Long Lane. At Long Lane she learned that organic farming is not only a proactive way to fix our broken food system, but a career that will allow her to meaningfully contribute to her community. At Wesleyan, Sophie founded an organization to open dialogue on campus about current issues in food politics. In addition to education campaigns, the group’s goal is to increase the amount of local, sustainable, and fairly-produced food in the dining hall by connecting Connecticut farmers with the dining service Bon Appétit. As Education and Outreach Intern with Food and Water Watch, Sophie had the opportunity to plan a Midwest road trip to help build a coalition for a Fair Farm Bill in 2012. 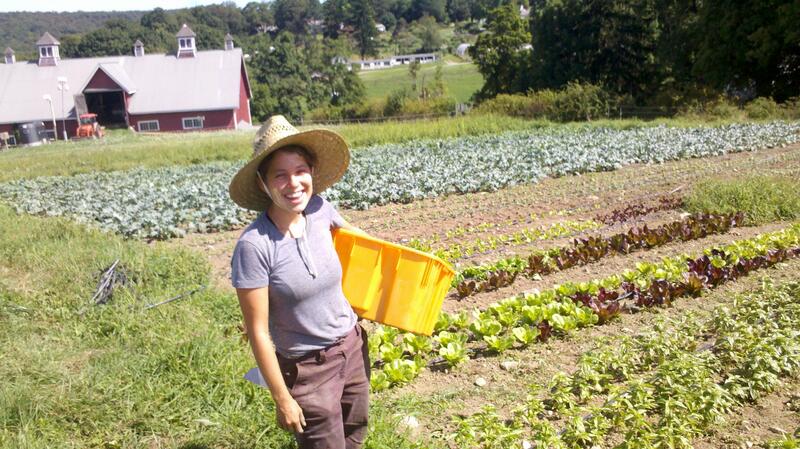 Sophie is currently finishing an apprenticeship at Glynwood Farm in Cold Spring, NY. Sophie is thrilled to join the NYFC team because she believes that if young farmers are not supported in the United States, our country’s food security and environmental health is at risk. The National Young Farmers’ Coalition is poised to become the voice for the next generation of America’s farmers. As Membership Development Coordinator, she is excited to significantly grow our network so we can better support one other and advocate for beneficial farm policies.